The proposal for the establishment of the Ministry of Religious Affairs was made at least twice during the preparations for the proclamation of Indonesian independence, but both times it failed to find necessary support. However, when it was proposed for the third time, the proposal was supported by the Central Indonesian National Committee, an advisory body appointed to assist the president of the newly independent Indonesia. 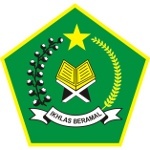 The Ministry of Religious Affairs of Indonesia was officially established on January 3, 1946. It took over marriage, mosque and hajj affairs from the Ministry of Home Affairs, religious court from the Ministry of Justice, and religious education from the Ministry of Education, Pedagogy and Culture. Indonesia is constitutionally a secular state that guarantees freedom of religion. Although more than 80% of Indonesians identify themselves as Muslim, a number of other religions are practiced in the country, including Christianity (Protestantism and Catholicism), Hinduism, Buddhism and Confucianism. That’s why the Ministry of Religious Affairs includes units responsible for each of the six official religions.